Monday Creek Publishing presents a journal for all ages. 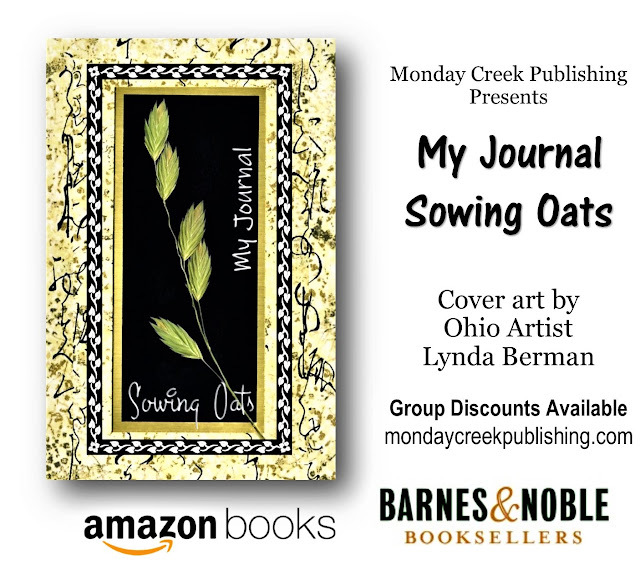 My Journal: Sowing Oats is a place to write your goals, dreams, stories, poems, and much more! Great for classrooms, writing groups, or personal journaling. Filled with 130 blank, lined pages to write about your journey. Each page has a positive word that inspires and motivates your life. Keep writing.